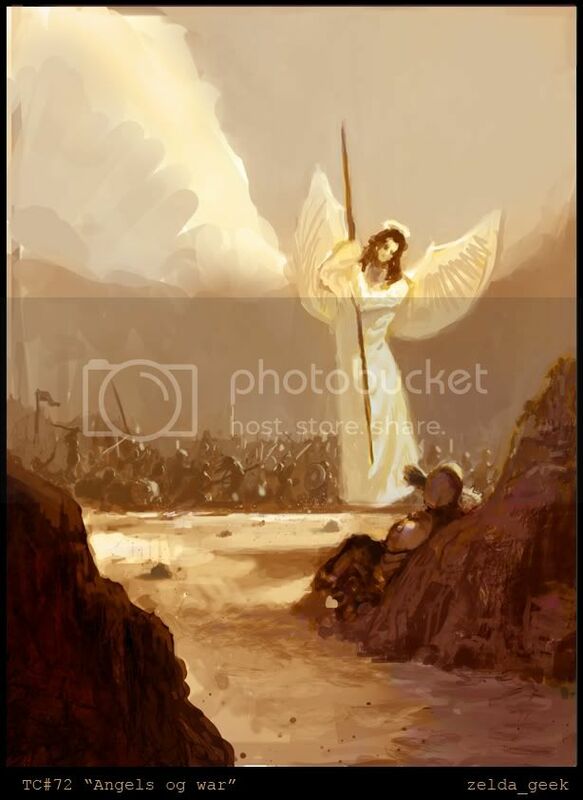 Angels of war, seems like a generic, human-with-wings kind of topic, no? Well, you're wrong! Think outside the box for this one, like little kids (awww, my angel) holding a war against their parents. Stuff like that. thursday, 1st of Oktober, 2 weeks. Last edited by Dave_; September 17th, 2009 at 11:39 AM. hey dave man hows it going ? keen to see your final hunchback! "Can't you hear it? The sound of beating drums, constant, never fading and yet always getting louder... as if getting closer and closer"
Well I'm gonna try, even tho this website seems to be wayyy out of my league. Never know till I try right? Seems interesting. I've never done something like this before, but I'm willing to give it a shot! Here's something a did a few hours ago after reading this O: 1st time doing one of these so I assume I'm suppose to post wips here >.< My angel of war, Beastly dragon that causes Destruction and death in the land of the living. Everybody loved Clara, that little darling. With her cute blue eyes, her beautiful dark hair and a that joyful mind that could make even the saddest smile, she was a true little angel walking the earth... or so was Nanny thinking as he came with hot milk and cookies. I think you can do whatever you want. 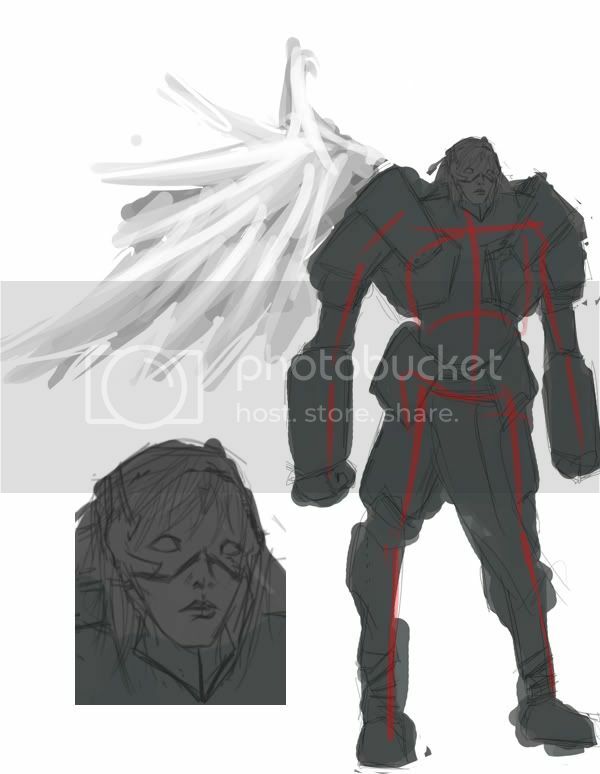 As with many topics it is better for you to think outside the box not to fall into a stereotypical image, which in this case would be this armored character with wings. Thinking outside the box allows us to come up with original ideas, increasing the chance for us to "win"
Nevertheless, it is up to each of us to decide. I'm new to this and digital painting in general, but I guess I'll give it a try. WIP - all warfare slows to a halt worldwide. The now unemployed Norse god is forced to beg in the streets, but no one really wants to talk to him. Work in progress... very cliché, I know. I've been trying to come up with something original for a while now, but it seems impossible to come up with something good. Anyway, here's how it looks so far...will fix the scale problems later.Crits appreciated. I thought id post me WIP, i've been working on this for the better part of 6 hours spread over three days. Me: good work so far, I like how you went for butterfly wings. Last edited by Sukizan; September 27th, 2009 at 04:46 PM. Last edited by Jerik; September 28th, 2009 at 05:06 AM. Reason: buggered up the pic! Hey this is my first challenge in Teen challenge! I'm 19 and pretty new to conceptart.org, just finished a creature for the week and am looking forward to this one as well! Last edited by Black Spot; June 23rd, 2012 at 07:52 AM.